Contact us for a quote for additional teams. 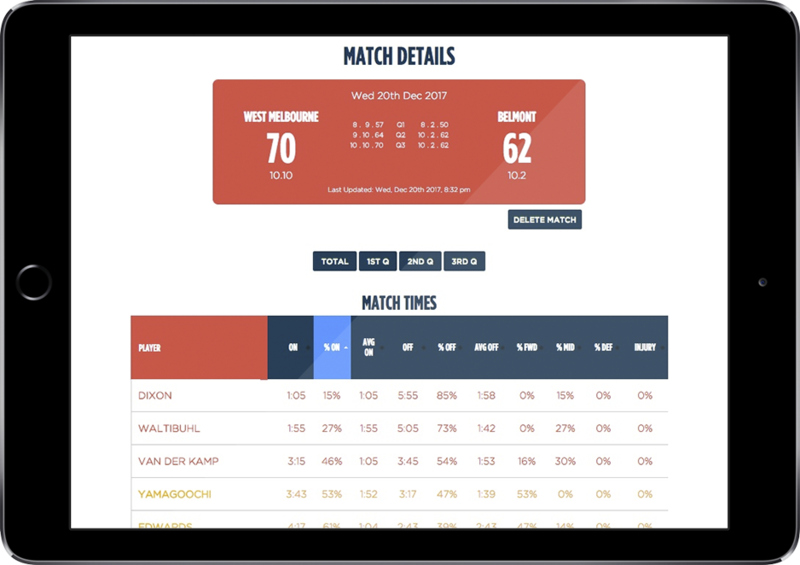 With 12 years of development, no match day failures, and a robust, reliable and easy to use interface, Interchanger Pro is for the serious coach focussed on player welfare and performance maximisation. 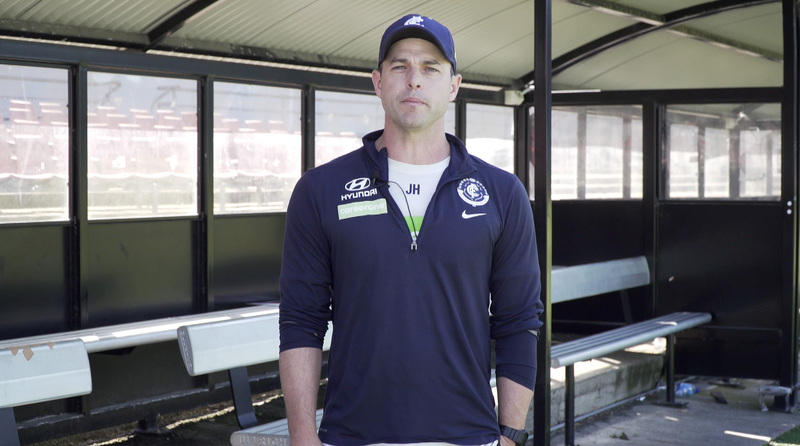 Interchanger Pro is acknowledged as the premier interchange product in Australian Rules Football and is being used by 7 AFL teams, including Hawthorn in their triple premiership wins and the Western Bulldogs in 2016. 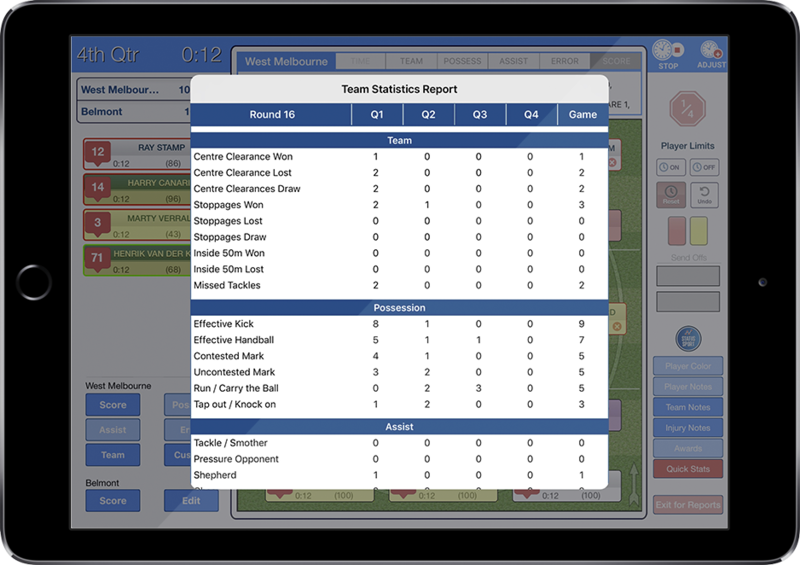 Available for PC and Mac (not available for tablets). 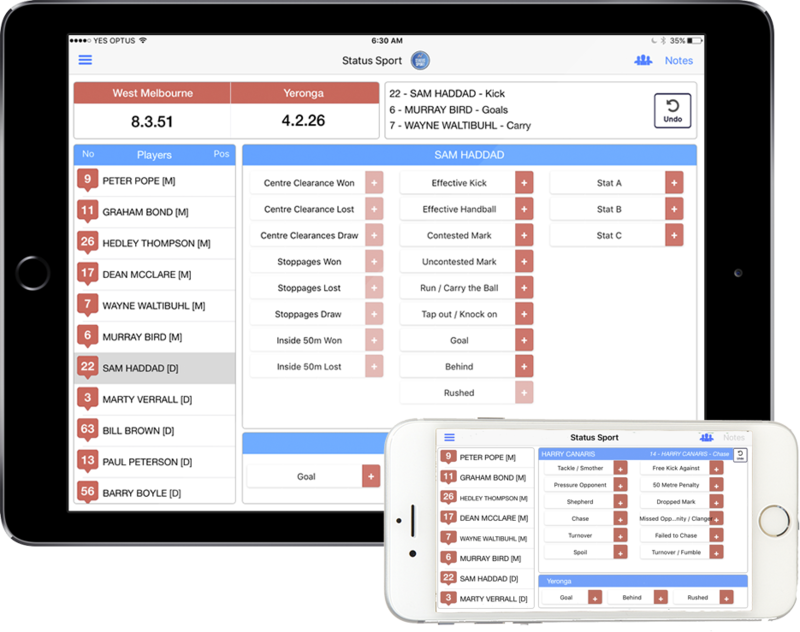 This software is recommended for state league and professional teams. 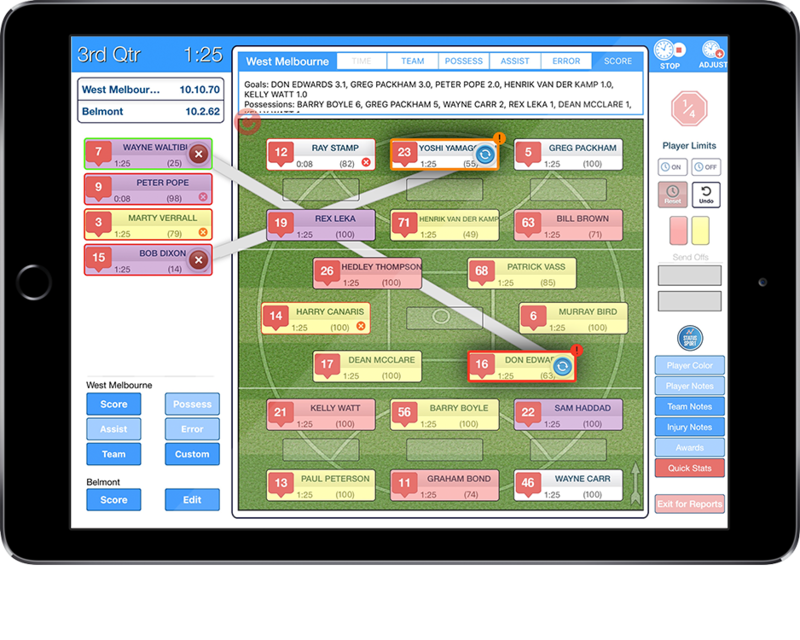 Manage player rotations through a series of warnings that  coaching staff determine pre-match, and can change as  the game unfolds. Simple, clear graphics to assist with swift and timely  decisions on match day. CSV file download of data. Record and communicate time forward, midfield, defence and bench. Two Way box to bench communication. Preliminary warnings can be programmed for players who are rotating on-field (i.e. not  coming to the bench).